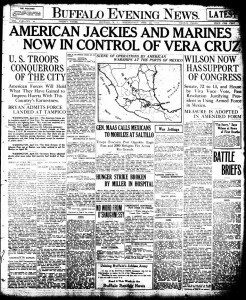 The United States finishes taking control of Veracruz, Mexico (then written as Vera Cruz). Both houses of Congress vote to support President Woodrow Wilson's use of armed force. 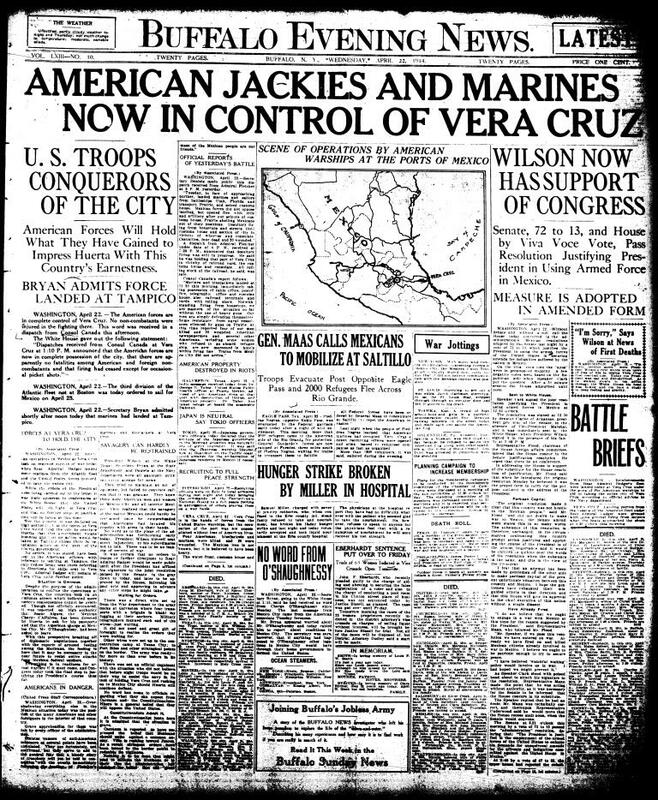 The Associated Press detailed the official reports from the battle at Veracraz. Mexico calls for troops to mobilize at Saltillo as refugees flee across the Rio Grande.